GMO Industry Harassment against Researchers Exposed. Correlation between GM-foods and Deterioration of health in the US. Home > NewsRelease > GMO Industry Harassment against Researchers Exposed. Correlation between GM-foods and Deterioration of health in the US. Once upon a time there was real science, documented and confirmed with publications in prestigious journals. When, in health-related fields, we learned about the master DNA/RNA and it's telomeres, how the endocrine system connects it all, and embryonic stem cells, there were only Ooohs, and Aaahs, and we felt privileged when getting a glimpse at God's ingenuity and logic that allowed a mere 4 letters (the 4 bases, guanine (G), adenine (A), thymine (T), cytosine (C), reoccurring in specific patterns) to describe all living things. Then industry, when it didn't like published risk-finding data, triggered orchestrated campaigns of harassment against the scientists. Examples from just the last few years include Ignacio Chapela, a then untenured Assistant Professor at Berkeley, whose paper on GM contamination of maize in Mexico (Quist and Chapela, 2001) sparked an intensive internet-based campaign to discredit him. This campaign was reportedly masterminded by the Bivings Group, a public relations firm specializing in viral marketing – and frequently hired by Monsanto. The distinguished career of biochemist Arpad Pusztai, came to an effective end when he attempted to report his contradictory findings on GM potatoes Delborne, 2008. Even threats of physical violence have been used, most recently against Andres Carrasco, Professor of Molecular Embryology at the University of Buenos Aires, whose research (Paganelli et al. 2010) identified health risks from glyphosate. But this is really nothing new. Here in the US Berkeley professor Peter Duesberg, formerly Max Planck Institute, Germany, discoverer of oncogenes, was maligned when he dared to expose the pseudo-science of HIV/AIDS and which - obviously THE major reason for being attacked - also threatened the multi-billion antiviral drug business. Much of the dirty – special interest-dictated – business became obvious again when prof. Giles Seralini of Caen University, France, published the results of GMO-fed animals, and observed organ malfunctions, tumors, and cancers: view the original pictures at http://www.DrHans.org . "BUT" - - the opposition will proclaim - - "this paper was retracted." Yes, BUT not by the author" One year after publication a new editor at the journal retracted the paper, claiming complaints about irregularities – from using the wrong animals, to mistakes about the length of the study, and more. The answer came with the disclosure that the new editor came from the GMO industry. "PHONY?" - - we, totally, agree! And hundreds of scientists signed an "open letter," supporting the paper's author, Dr. Seralini of Caen University in France. Read the open letter, and you'll see where truly questionable ethics originated - - - with the GMO industry: http://www.independentsciencenews.org/health/seralini-and-science-nk603-rat-study-roundup . In a last-ditch effort the GMO people complained that the laboratory animals used were cancer-prone. Response: What do they think people are, cancer-prone, or cancer-resistant? Animal studies are done in several general stages - - like our longevity studies, performed as Roosevelt U, Chicago, where we achieved average life-span increases of nearly 100% - - to a) get a general feeling about the modalities involved, b) more focused on the modalities involved, and, finally, c) precise studies, following established guidelines, to confirm previous findings. Find more about anti-aging research, longevity studies, telomeres, and stem cells at http://www.DrHansKugler.com , and in (e-book) "LIFE-Long Health: learn how to Control your Genes to stay Young with Age", now available as health education project for only $ 1.99. How to order, go to http://www.DrHans.org . Persistence of plant DNA sequences in the blood of dairy cows fed with genetically modified (Bt176) and conventional corn silage. J Agric Food Chem. 2009 Jan 28;57(2):509-16. Bertheau Y, Helbling JC, Fortabat MN, Makhzami S, Sotinel I, Audéon C, Nignol AC, Kobilinsky A, Petit L, Fach P, Brunschwig P, Duhem K, Martin P.
A MAJOR SCIENTIFIC PUBLICATION: Strong correlation between GMO food consumption and 22 major diseases; Genetically engineered crops, glyphosate and the deterioration of health in the United States of America: http://www.organic-systems.org/journal/92/JOS_Volume-9_Number-2_Nov_2014-Swanson-et-al.pdf . In the light of all these findings about the risks of GMOs, how can it be that - - like in California, and Oregon - - so many people were so ignorant to vote against their own right to know what is in their foods? Sadly enough, science education in America is lacking; so it s easier for true BS-sers to pull one over on them with bogus and "El Toro Poo Poo" arguments. The same approach has been applied by the special – oil, coal, gas – interest in respect to Climate Change. GLOBAL WARMING IS REAL; so real that the carbon industry has spent $ 543 million over the past years to plant BOGUS arguments, and blow smoke up your YOU KNOW WHAT to confuse the issues, and prevent you from thinking NON-CARBON US CLEAN ENERGY PROJECTS. http://drexel.edu/now/news-media/releases/archive/2013/December/Climate-Change . IAAM, International Academy of Anti-Aging Medicine; Calif. 501-c-3 health research/education Corporation. 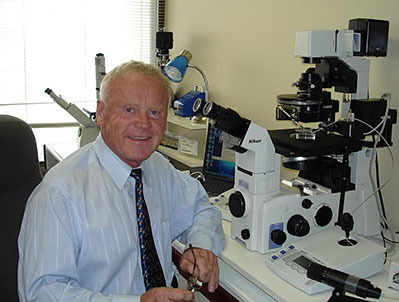 Dr. Hans J. Kugler, PhD, President, International Academy of Anti-Aging Medicine. 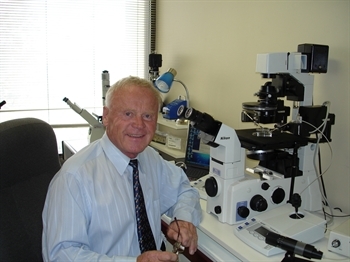 Founder and President, HK Stem Cell Research. Professor of chemistry, RU Chicago. Former Standard Oil of Indiana research chemist. PhD SUNY, Stony Brook, NY. Organo-phosphorus chemistry. BS: U. of Munich Medical School; physiology under Nobel Laureate A. Butenandt. This battle for our health freedoms is now continuing on TWO fronts: GMOs, and what many of us believe to be total special-interest dominated screw-ups - - Chemtrails, spraying toxic Aluminum, Barium, and Strontium into high levels of the atmosphere to block sun energy from reaching earth (which, in the evaluation of informed scientists is ineffective, hazardous to human and plant health, and only done to protect carbon industry profits).